We are back in Captiva with the whole family, Nana, Papa, Andrew Tracey, Sam and Emma, for Christmas vacation. Last night we all stayed up to watch the Redskins game. The Redskins won! Woohoo! and then he mumbles a few other things. Mom says, "Shhh, go back to sleep," and he does. Of course, later in the night I move out to the other couch because Joe has t-boned me right off the bed. Mom asked me why I didn't just "relocate" Joe, and I told her I was just too tired. Where did that come from. He is a funny one, your brother. Within hours of Katie Trebing's birth Dec. 12, 2002, she needed a blood transfusion to save her life -- the first of many to come. Steve and Stacy Trebing's daughter was born with Diamond Blackfan Anemia, a rare bone marrow disease that affects just 30 out of 4 million births each year in North America. Stacy will never forget the day her pediatrician broke the news. "I remember vividly being in his office, holding Katie, and him saying, 'OK, you're gonna be tied to hospitals for the rest of your life.'" Katie's body wasn't making any red blood cells to carry oxygen to her organs, and never would. She needed transfusions every three to four weeks or she would die. But that treatment came with devastating side effects, drastically shortening Katie's life span. More than 40 percent of transfusion therapy patients die before they turn 40. There was just one way to cure Katie -- a bone marrow transplant from a perfectly matched sibling. Her older brother, Calvin, was not a match and the Trebings learned about a process of testing embryos called pre-implantation genetic diagnosis. The outcome would ensure their next child and Katie shared the same bone marrow DNA. Some critics say PGD creates children for "spare parts." For Steve and Stacy, the technology meant a healthy sibling added to their family and the chance for Katie to have a normal life, but there was a dark side. A bone marrow transplant was a perilous operation: It would either cure their daughter or kill her. Friday on "20/20" you'll see how far this family was willing to go to keep their daughter from a lifetime of suffering, and the events that swayed their decision on whether to create the perfect sibling. And, find out how you can give the greatest gift to a child this holiday season. Teachers spend more than $1 billion a year on supplies for their classrooms. That is an astonishing number for these underpaid public servants, and yet they still don't have everything their classrooms need. A Web site called DonorsChoose.org is bringing help to classrooms around the country that require anything from the most basic supplies to the most innovative teaching tools. From pencils to computers to field trips, teachers post their unique requests on the site and donors can select which proposal they want to fulfill. It sounds simple, and it is, but since founder Charles Best started the nonprofit seven years ago, more than $15 million has been funded. Not only are teachers getting the essentials that they need, but donors are fulfilled as well. "When they're happy, they start bouncing around like a little rabbit and you just laugh because of their joy," said a fifth-grade student whose school participated in a fundraiser in the spring that earned $5,000 for DonorsChoose. Watch these inspiring stories of "The Greatest Gift" Friday on "20/20" at 10 p.m. ET. You would have been part of this study at Hopkins. Your gut GVHD had all of the doctors vexed. Timing. Bone marrow transplants are one of cancer care's striking successes, but they have a dark side: The transplanted cells can turn on patients, attacking their skin and organs. The potentially deadly side effect with the unwieldy name of graft-versus-host disease, or GVHD, strikes several thousand each year. The last decade has brought little progress in battling it. Last month brought another blow, as the Food and Drug Administration rejected the new drug closest to market. But that drug, called orBec, isn't dead; its manufacturer is pledging additional research to satisfy FDA's concerns. And it joins a list of other promising experiments into ways to ease the misery from novel stem-cell infusions to drugs that block immune cells-run-amok. The burst of research comes none too soon, as a long-lasting form of GVHD is on the rise. "I love my doctors, but they throw up their hands. They don't know what to do," laments Stephen Dugan, 54, of Radnor, Pa., who longs for an alternative to the problematic steroid that is today's treatment mainstay. His transplant four years ago saved Dugan from cancer. But two months later he barely survived a harsh bout of GVHD; now he battles a less severe but chronic form of the disease. When someone receives a transplanted organ, the big fear is that their own immune system will attack the new "foreign" tissue. GVHD is the opposite problem. It occurs when patients receive donated bone marrow or the stem cells that produce it, pieces of someone else's immune system. Sometimes the donor's T cells, whose job is to hunt foreign invaders, become super-aggressive and attack the recipient's body. It happens in at least half of the more than 6,000 Americans who receive allogeneic or donated marrow or stem-cell transplants every year. Many times, GVHD is mild or moderate, causing skin rashes or blistering, vomiting, liver or lung damage. But one of every five cases is life-threatening. A particularly dangerous form ravages the stomach and intestines, causing unremitting vomiting and diarrhea. The only treatment: Super-high doses of the steroid prednisone for weeks, to suppress out-of-control immune cells and the inflammation they cause. But the treatment's side effects are severe, even deadly: Patients fall prey to infections; it debilitates bone and muscle until some become bedridden; and it can cause violent mood swings. Plus, about half of seriously ill patients fail to improve, prompting doctors to frantically add other steroids. "They're our best friends but our greatest enemies," is how Dr. Steven Pavletic of the National Institutes of Health describes prednisone and its cousins. OrBec is a milder kind of steroid, a pill version of the beclomethasone that asthma patients have long inhaled. Dr. George McDonald of Seattle's Fred Hutchinson Cancer Research Center reformulated the drug to coat the gastrointestinal tract, not roam the body. Adding orBec to standard prednisone seemed to improve survival, a year after gut GVHD first struck, by 45 percent. But because of a statistical issue with the research, the FDA told Dor BioPharma to show more evidence that orBec works. The company pledged to do so, and already has a different Phase III trial under way to see if giving orBec with the transplant can prevent gut GVHD in the first place. The experimental drug Prochymal aims to soothe the source of GVHD's inflammation without suppressing immunity. It's made of a different kind of stem cell, mesenchymal cells. Your own mesenchymal cells are damaged during a bone marrow transplant. But when donated ones are infused into patients' bodies, they steer to wherever GVHD is attacking. There, overly aggressive T cells spur high levels of chemicals called cytokines that in turn inflame tissue. The mesenchymal cells "change the chemical environment and basically put the brakes on" that damaging process, explains Dr. Hans Klingemann, bone marrow transplant chief at Tufts New England Medical Center. He is the independent safety monitor for Osiris Therapeutics' studies of the drug. In a small study, adding Prochymal to steroid treatment doubled the chances of a complete recovery. Now a large Phase III trial is beginning to try to prove that effect. Johns Hopkins University researchers are studying if two doses of an old cancer drug, cyclophosphamide, at the time of transplant could prevent GVHD anywhere in the body. It's a drug thought to block the function of only bad-acting immune cells, while allowing the rest of the immune system to build back up after the transplant. Of roughly 100 patients tested so far, 65 percent have needed no further anti-GVHD protection, says Dr. Leo Luznik of Hopkins Kimmel Cancer Center. Larger studies at other hospitals are about to begin. EDITOR'S NOTE Lauran Neergaard covers health and medical issues for The Associated Press in Washington. Last night all the power went out. There were really strong gusts of wind all night and then all of a sudden at 11:04 pm right in the middle of the Redskin's game - every house and every light on Calvert Street went dark. It was pretty cool. Very peaceful. The only light in all of that darkness was your yarzheit candle blazing away on the kitchen counter. We were in the store the other day and I saw a yarzheit candle that burns for 48 hours, which I have never seen before. Knowing the Jews, this is probably to ensure that you get the timing right no matter what or where you are. I bought it solely because I wanted you to shine as long as possible. According to the Hebrew calendar, the day you died started Friday night. Mom and I used your candle to make our way upstair in the dark. I love you. I miss you. I think about you always. These are pictures from our New York trip when Jack, Joe and I were sick. There is a really wonderful story and really wonderful person behind these photos. A woman named Kellee read a post I wrote to you about pictures she took of a girl who has Fanconi anemia. Kellee got in touch with me and said that she'd like to take our picture. She lives in Ohio but was coming to New York. We met her there two weekends ago. I suggested that we meet at the playground in Central Park with the stone slide because that was somewhere that you and Jack liked to go. We took some pictures there and then walked over to the petting zoo. We ended up at the big Central Park Zoo. 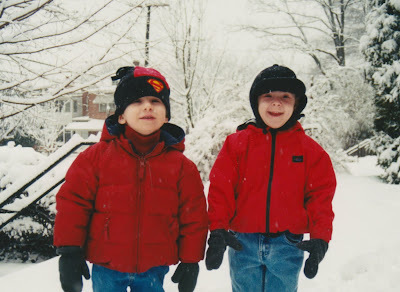 Even though it was freezing and we were sick (Joe was getting over pneumonia, Jack has an awful cough and I had just woken up that morning with a big fever), it was terrific. Kellee, who we never met before, is just a sweet, sweet woman and we all got along great. She is, as you can see, a great photographer. Mom is so beautiful and you can see it in the pictures. What was special for me is to be able to be in some pictures with everyone. I feel like I am always taking them, so this was especially nice. I wish that every family who has a really sick kid could have someone like Kellee take their pictures together. We have those pictures from Norman that were taken at the beach, but those were for the New York Times. I wish I would have thought to get a photographer to come take pictures of us when you were doing somewhat okay. Part of the reason I do this is to be able to look at pictures of you all the time. Pictures. Pictures. Pictures. Jack got an Apple laptop for his birthday and Hanukkah combined. I "borrowed" it to do this. Here is the blog of a kid named Andy Trevino who was saved by his sister Sofia. They are from Mexico. 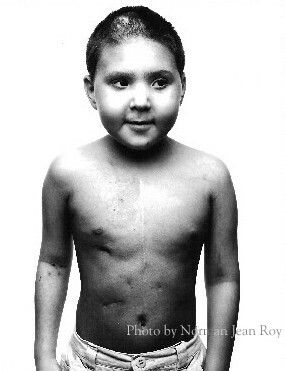 Andy had a transplant after his parents had Sofia through PGD. They had their transplant at Boston Childrens. His dad Andres seems like a great guy. He is like Mom. He speaks to people to help them understand why PGD is important. I told you that Joe loves to draw. He draws all the time. It used to be just rainbows but now he does a lot of different things, like boats, whales, trees and flowers. I was helping him get his art supplies together the other day. I said, "Where are your magic markers?" He said, "Dad, I've got markers somewhere, but not magic ones." Yesterday was your 5th Deathday. We all went to the cemetery, then to Cactus Cantina and then we wrapped up the day by lighting the Hanukkah candles - it was the last night - and a yarzheit candle for you. I grabbed two photo albums on the way out the door which was a good thing. We all looked at pictures of you and everyone else while we were at the cemetery and at Cactus. It was a good way to get everyone to really focus on you. I took a video of a lot of what we did all day but am having some trouble transferring it to the computer. Look for that soon. I was thinking that we need to have an abbreviation for Hanukkah the way there is Xmas for Christmas. There are so many ways to spell Hanukkah it might be cool to be able to just write "H-kah" or something like that. We'll see if that takes off. It came a few days early but I did start weeping uncontrollably the other day. Here is the "progression." I had a hard day and I was home alone doing some dishes waiting for Mom and your brothers. On XM's Radio Hanukkah, Rick Recht was playing. I guess my mind went to Minnesota when we used to listen to him and then all of a sudden, standing over the sink, I started to weep with my entire body. It didn't last all that long. Here is a cool slideshow Mom made for the day. I had wanted to do this, but Mom beat me to it and did a great job. I get bummed out at these commercials that are playing on TV for a hospital called St. Judes. They raise money for the hospital (a really good thing) by showing celebrities with kids with cancer. They only use kids with no hair. That's what sells, but it bums me out. It is just me. Hey, I keep wanting to tell you that Mom is on a radio show every week. Here is the link to the shows. Your mom is destined to be a big star. I am on the train up to New York. Mom and Joe are across the aisle and I am sitting next to Jack. I am looking at Mom, who is trying to sleep, and Joe is watching SpongeBob (Season 3) on Mom’s iPod. Joe is not letting Mom sleep. He keeps touching her and patting her. I feel bad for Mom, but Joe can’t help himself. Two days ago Mom said, “Joe has been sick for 16 days.” She was definitely counting and definitely worried. He had a fever that just wouldn’t go away. I am of the “lightning can’t strike twice in the same place” school so I wasn’t as worried as Mom. I knew or was just wishing it was something that was taking a long time to go away – especially since Joe isn’t the type to necessarily lie around and let himself get better. He was pretty peppy even with 103 temperature. He seems to be getting back to normal now. Jack caught a bit of what Joe had and I am trying my darndest not to get sick myself. Remember the time we all went up to New York and Mom was sick and you and Jack were sick and we were staying in the residence at Cornell Hospital. That was pretty miserable. Even though we are the cough-a-lot family freaking out everyone sitting near us, hopefully everyone will all be feeling better for this visit. Mom’s up now. She only needs to nap for 15 minutes to feel good. I need at least a 3-hour nap or else I feel groggy. Your bothers are “inconsistent communicators.” Most of the time they won’t engage in much of a conversation with me. And sometimes, infrequently, they just burst open and can’t stop talking. I never know which it is going to be. Ceaseless yapping or silence. Nicely, and from out of nowhere, the other night Joe and I actually had a nice chat. I don’t know how I got into it, but I told Joe all of my grandparent’s – your, Joe and Jack’s great-grandparents’ -- names. There was Grandma Bertie, or Bertha Goldberg; Grandpa Hymie, or Hyman Goldberg; Grandma Gus, or Augusta Baum – kinda like Augustus Gloop; and Grandpa Nat or Nathan Baum. I told Joe that I wanted to name each one of you Nat at some point or another. It started with you, but Mom said “no way.” I remember exactly where we were, driving down Old Georgetown Road past my nursery school (a church), when I brought it up. That name option lasted for maybe, I don’t know, less than a minute. It was less to honor my grandfather, who I don’t remember all that well other than driving a Red Cross ambulance, and more because I like the name. Joe was definitely interested in the name because it is the nickname of the Washington National’s baseball team. He then said something that intrigued me. He said that we should have named him, “Senator.” He was talking about the old baseball team here – also nicknamed the Nats – but I was thinking how cool it would be to walk around and say, “Hi, I am Senator Goldberg,” like you were a United States Senator, one of those people who gets elected. Joe thought a little more about it and argued that instead of “Joe,” we should have named him Ryan Zimmerman Goldberg or Alfonso Soriano Goldberg. I apologized to him for not having thought of that when he was born. I told Joe about your great-grandparents and that I didn’t really know any of them. Gus and Nat were were Grandma Phyllis’ parents. Bertha and Hyman were Papa Teddy’s parents. I then thought it would have been funny if I called Grandpa Hymie, Papa Hyman – but that is funny just to me and high school boys. Grandma Gus died when I was one – just like you dying when Joe was that age. I don’t remember ever knowing Grandpa Hymie. Grandpa Nat and Grandma Bertie were the ones who I remember seeing more than once. They all lived in a place in New York called Brooklyn. That is where I was born. I have a picture of you, me and Grandma Bertie. I'll find it and put it here. Mom and we visited her once a long time ago. I may have told you how she gave me a can of soy beans when I was growing up. It was the only present I remember getting from her. She wasn’t what you would call a “warm” woman or grandmother. But she lived a long time. She was 99 when she died. Over Thanksgiving in St. Michaels everyone (but me) talked about what we were thankful for. Here is a page that Joe did at school. He is learning to read and write. He is doing really great. I hope he is as smart as you and Jack. 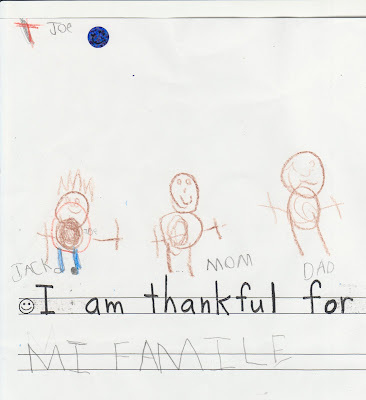 At Thanksgiving dinner, Joe said he was thankful for being born, and Jack said he was too. Of course, that is that he was thankful for himself, Jack, being born, not for Joe being born. That would be too much to ask for from Jack, who still gets pretty annoyed at his annoying younger brother. Jack then said something very quickly about how Mom and I were bummed out that when he was born he wasn’t a match for you. Mom and I looked at each other and a silent, “Where’d he get that from” look passed between us because we couldn’t figure out “Where he got that from,” and more importantly because it was totally untrue. Mom took Jack aside at some point over the weekend to talk to him about this. It is Saturday morning a week after I started writing to you. Now I am sitting watching Joe at a University of Maryland winter baseball camp. Mom and Jack brought Joe last night and I am with him today. We are in a big indoor practice bubble across the street from where I lived when I went to school here. My dorm was called Denton. I am remembering when you and I came here late one night after your doctor appointment in Baltimore. We went to the Student Union to get a basketball jersey but they were closed. You were a big Juan Dixon fan. We were so bummed. Joe and I sat on a bench next to this kid named Dylan and his mom while we were waiting for the camp to start. It is pretty cold even though we are indoors, so I suggested to Joe that he and Dylan run all the way to the end of the field and back to warm up. Dylan said he didn’t want to. Joe then looked at me and said with a half-smile, “Dylan came in last yesterday.” And then he repeated it and smiled at me again. I think talking smack and talking trash are different things. I need to look that up. You know that it is okay to be competitive, but Joe feels like he needs to remind others that they aren’t as good as he is, whether it is the kids in his class, this guy Dylan or even Jack. Mom and I have talked to him about this a lot but he keeps doing it. Joe’s coaches repeat the same thing over and over about the proper stance for hitting or for being ready in the field. I guess we need to just keep saying the same thing about being nice to others and “worrying about him” over and over again. Repetition teaches the fundamentals. I took Joe aside and said that while that Dylan may have “come in last,” it wasn’t a nice thing for Joe to say or bring up. I want Joe to be the kind of kid who helps other kids, not makes them feel bad. A lot of it – at least today -- is my fault. I lied when I signed up Joe for camp. I said he was a year older than he is because you need to be 7-years old to go to the camp. Aside from doing what he loves, my thinking was that being with kids who are older, bigger and better; Joe may learn a little humility. He may have a 7-year old’s skills but he may not be “mature” enough otherwise. He has problems sitting still like the others listening to the coaches. Next year will be better. I also know that a big part of what bugs me is that growing up I was Dylan. I was the kid coming in last. When we’re done here I will say that to Joe and see if that helps. I'll tell you one thing -- if that is our biggest problem, we are doing okay. We finally did find out what was wrong with Joe last month. He had pneumonia. Although he may have gotten better quicker if we knew earlier what was wrong with him, I know that in a way it was a good thing that we learned after he was getting better that it was pneumonia. Pneumonia, which I think is simply an infection that is in your lungs, is ultimately what killed you. Joe’s infection was mycoplasma, yours aspergillus. Here are pictures of you and Jack the morning of the day you were admitted to the hospital for the first time with pneumonia. I was here alone with you and Jack, while Mom was in New York doing IVF. You were complaining that your shoulder was hurting you (and it was your shoulder that what was bothering you again in Minnesota at the end when you had pneumonia but no-one could figure out what was wrong), and I finally took you down to Georgetown in the evening. I wonder who came over to watch Jack. For a while it looked pretty bad for you. Mom had to choose between coming back here and seeing you before you died or staying in New York to keep trying to have a baby who would save your life. Although Mom is incredibly strong, no-one should ever have to deal with those kinds of decisions. Fortunately, you got better and Mom was able to stay in New York. Our life was pretty dramatic at times. Here is a woman who is doing something like Hope for Henry for a little girl, Nina, who died of FA. It is called Books of Love. Here is how she describes it. To give a child the enjoyment of a book is priceless! In 2006, our friend Nina, who was only 3 1/2 years old, died from Fanconi Anemia (FA). The passion and joy that she brought out of each person that she touched was overwhelming. During her short life, she spent many days at Doernbecher Children’s Hospital. The books in the waiting room and recovery rooms helped her escape the stress of being in the hospital. We want to continue to celebrate that passion for books. They are trying to collect 500 books. I will definitely send one. Maybe "Pierre." I helped Mom set up a blog for the Foundation. Here is a video that I posted of an event that Cousin Michael put together at Georgetown. I was really proud of him. He totally honored your memory while making a lot of kids happy. Here is Joe whistling on an acorn in Central Park. We saw Susie and Ken and their kids. They came in from Connecticut and we went to a candy store on the Lower East Side and Katz's deli. I think we did pretty well for being different stages of sick. When I read this story over the weekend it made me think back to when I wrote a proposal to the show While You Were Out that they come redo the basement as a cool classroom complete with a video link to your class at JPDS. You weren't allowed to be at school with your friends and I thought it would be a good way to keep you connected and make you happy. This was before they did their Extreme Makeovers or whatever it is they do now for families in crisis or need. I had told them that it would make for more compelling TV than their normal shows which featured a wife remaking a favorite room for her husband while he was away playing golf for the weekend. Of course I never heard back from anyone. PATERSON -- Antonio Reyes has spent much of his childhood battling serious illnesses in hospitals and has never had a space of his own. But a group of local volunteers, dedicated to providing ailing children with an ideal bedroom, put the finishing touches on the 3-year-old's "healing space" at his city home on Saturday. The scene at the home on Pennington Street was like watching the popular television show "Extreme Makeover." About 10 volunteers worked together to put up blinds in the living room, organize toys in the basement and assemble beds in the two second-floor rooms. The group hoped to have everything done by Saturday night. The renovation had only begun about a week ago, but the planning began in October. "We had a vision," said volunteer Linda Dumoff, whose son, Matt, and husband, Mark, founded Healing Spaces: "Straight from the Heart" in 2004 to give children who are fighting illnesses a room of their dreams. This is the third family they've helped. Antonio has been "a fighter" since birth, said his mother, Desiree Janica, recalling that he was born almost three months premature, weighing only 1 pound 15 ounces. He suffers from Fanconi anemia, which leads to bone marrow failure. His mother said he successfully received a bone marrow transplant on July 13, but recently became very ill and has been in intensive care at Hackensack University Medical Center for a respiratory illness and pneumonia. Earlier this year, he also broke his leg after falling off his sister's loft bed. "He's doing OK," she said of Antonio's most recent hospital stay, which has gone on for more than two weeks. However, Janica said he's often at the hospital because Fanconi anemia is treated like cancer and he has been given radiation and chemotherapy, which caused all of his hair to fall out. Antonio was scheduled to check out his new room today, but his sickness has caused his return home to be delayed for about two weeks, said his mother in a phone interview from the hospital on Saturday. His stay in the hospital also caused the postponement of a trip to Disney World, which was granted by the Make-A-Wish Foundation. "We were supposed to be in Florida," Janica said. "He knows he's getting a room. He says, 'I'm getting a Yankee bed.' "
Antonio's sports-inspired room screams happiness with freshly painted bright yellow walls, hard-wood floors, a comfy wood bed and matching dresser. The cornice over the window is made of navy blue and white fabric, in honor of his favorite baseball team, the New York Yankees. The custom-made cornice also serves as a display for two autographed baseballs from Yankee players. Chien-Ming Wang, Bobby Abreu, Ron Villone and Edwar Ramirez visited him at the hospital. His bed is covered with a sports-themed comforter and sheets to match the custom-made ceiling fan shipped in from Florida with decals of baseballs, footballs and soccer balls on the blades. One of the highlights of the room is the painting of the sun, which has a chalkboard center, allowing Antonio to live every kid's dream of writing on the wall. Joyce Grabow, a Wayne interior decorator, worked on her first project with Healing Spaces after seeing an advertisement in a local newspaper. She said she started by interviewing Antonio, who was wearing a Yankees outfit, to find out his interests and favorite things. "I thought I would run with the sports theme," said Grabow, who decided on the yellow walls for his room because it's a "healing color" and a "happy color." But, this family really touched the Dumoffs of Wayne and they decided to do a little more than just Antonio's room. The project expanded to tidy up the living room, basement, kitchen and a room for two his two sisters, which also received a drastic overhaul. His sisters, 18-year-old Shardee and 15-year-old Destiny, who gave up her room for her brother, will share a revamped room with pink walls, new furniture and a remodeled closet. "I feel special because they are doing a little more than they would do a normal basis," said Janica. "I wish I could do something back to return the favor. I just thank them so much. Nobody has ever done anything for me. They are a blessing." Mark Dumoff said the idea for the non-profit organization came to them while flying back from a spring break ski trip. He and his son read an article in a magazine, where a similar project was done for a child with cancer. The article and photos of a bald child with a beaming smile inspired them to do something. The Dumoffs got in touch with Tomorrows Children Institute for Cancer and Blood Disorders at Hackensack University Medical Center, worked out an agreement to meet families with children suffering from serious illnesses and the rest is history. "The most important thing [for the child] is bringing healing to the home," said Mark Dumoff. "We try to create a very personal space." Matt Dumoff, a sophomore at Montclair Kimberley Academy and co-founder of the organization, gathered volunteers from his school, Wayne Hills High School, and Tenafly High School along with family members and friends to complete the makeovers. He described completing his first project in 2005 as "really emotional for everyone. It was an amazing experience. Your heart just stops. Once we did the first one, I just wanted it to grow." The Dumoffs said they have been able to complete the life-changing projects by receiving donations from local businesses in Passaic and Bergen counties, including Sharp Electronics of Mahwah, which donated a flat-screen TV and air purifier for Antonio's room. Mark Dumoff, who hopes to someday take this project around the country, summed up the experience: "The love they give to us is priceless. It's our honor. We are just a bunch of ordinary people trying to do something extraordinary for someone else." And then I saw this today. How incredibly sad. I am sure Antonio was Dr. Gilio's patient. He must be devastated. Aside from the pain of their son's death, I wonder how much harder it is going to be to have that room in the house. What do you do with that? Antonio Reyes will never get to see his new Yankees bedroom. The Paterson boy, just shy of his fourth birthday, died Sunday morning, succumbing to complications from Fanconi anemia, a chronic illness that leads to bone marrow failure, said his mother, Desiree Janica. Antonio was to be the recipient of a room designed and created by 10 volunteers from the non-profit group Healing Spaces. The dream bedroom, complete with wood bed and matching dresser, sports-themed comforter and sheets, and bright yellow walls, was finished Saturday. The makeover was the subject of a feature in The Record on Sunday. Initially, Antonio was supposed to see his room for the first time on Sunday. But his two-week battle with pneumonia and a respiratory illness that had him in the intensive care unit at Hackensack University Medical Center was dragging on and doctors told his family he would probably need another two weeks to recover. "He was happy, just playing the guitar Saturday night," Janica said. "Then he looked at his dad and said, 'I love you' and that was it. They worked on him for 12 hours, but his body was just too weak." Janica said Antonio died about 11:45 a.m. He would have turned 4 on Dec. 30. Fanconi anemia is considered primarily a blood disease, but it can affect all systems of the body. Many patients eventually develop leukemia or some type of cancer. A successful bone marrow transplant cures the blood problem, but patients must still have regular examinations to watch for signs of cancer. Treatments for FA symptoms such as bleeding and infections include transfusions or antibiotics. But patients frequently suffer with fatigue, shortness of breath, chest pain or dizziness and must see a multitude of doctors. Antonio, whom his mother described as "a fighter," endured a successful bone marrow transplant on July 13, but he has been in and out of hospitals since birth, when he arrived almost three months early and weighed only 1 pound 15 ounces. Regardless of the discomfort and pain from his illness, Antonio didn't complain much, Janica said. Rather, he was frequently "the life of the party. He was always the center of attention. Always happy. And always wearing his Yankee cap," she said. Only hours after Antonio died, Janica entered her house for the first time since the renovations were completed. In addition to her son's room, the group completely renovated a room for Antonio's sisters, and touched up the family's living room, basement and kitchen. "It's just beautiful -- they did such a fantastic job," Janica said. "He would have loved it. He was really looking forward to seeing his Yankee room. Now at least I'll have somewhere to go to be near him." This is the third family Healing Spaces had helped in North Jersey since 2005. Started by Wayne resident Mark Dumoff and his son, Matt, the group strives to give children dealing with serious, chronic illnesses a room of their dreams. On Sunday evening, Mark Dumoff said they were shocked when they heard about Antonio's death. But he said he hopes that the space they provided for Antonio's family will help them "get through this difficult time. "Our prayer is that the healing we brought into this home extends to them during this difficult time and gives them the resolve and strength to go on."